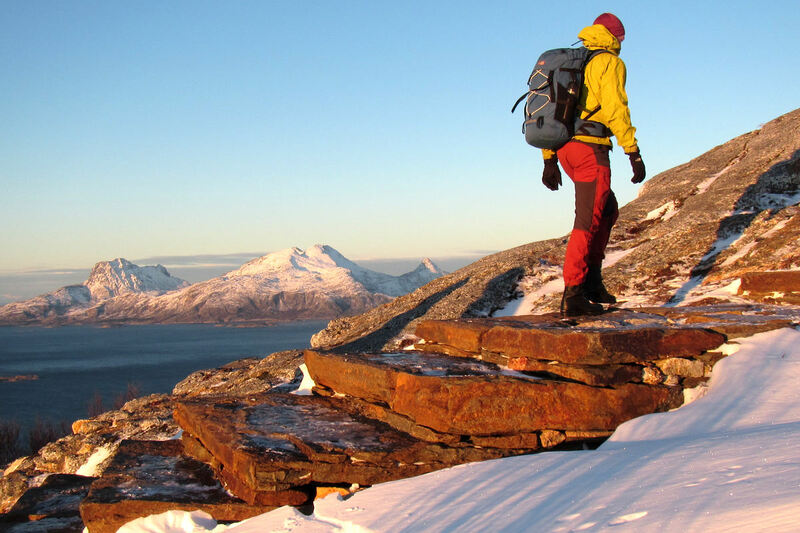 Keiservarden is the number one hiking destination for many in Bodø. Keiservarden is 366 m above sea level and climbing to the summit is not a very demanding hike. Keiservarden, view from top. Photo: Terje Rakke. 360° panoramic view – when the weather is clear, you can enjoy a panoramic view. 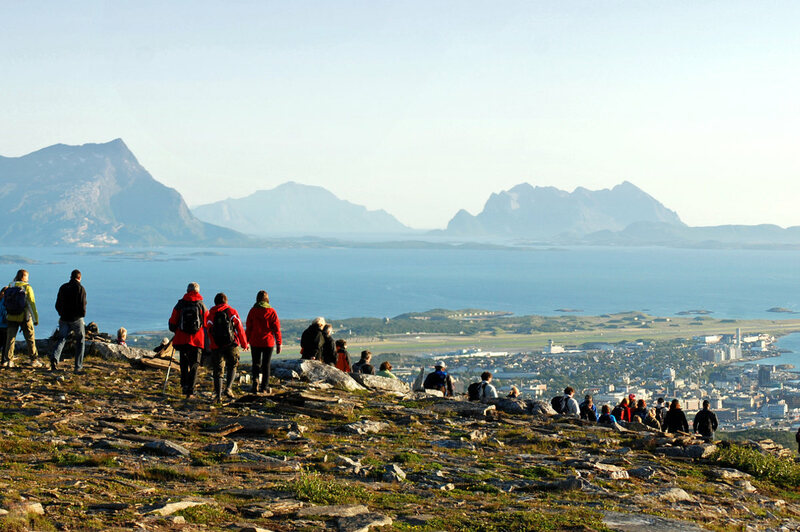 Once you have reached the highest point of Keiservarden, you are rewarded with a scenic view over the city of Bodø (if there are no clouds in the way). 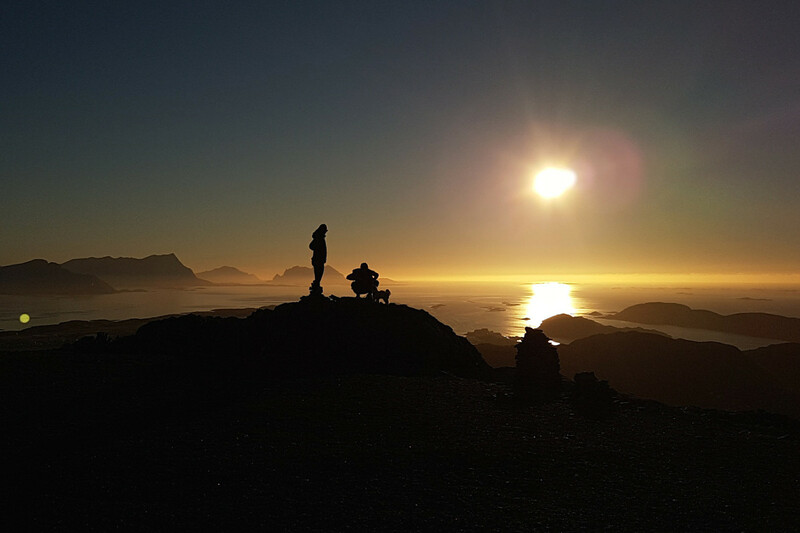 The view from the top – you might be able to see the silhouette of the Lofoten, the islands of Værøy and Røst (the two outermost islands in Lofoten). To the east you will see the many peaks of the spectacular Børvasstind mountain range and the mountains near the Swedish border. 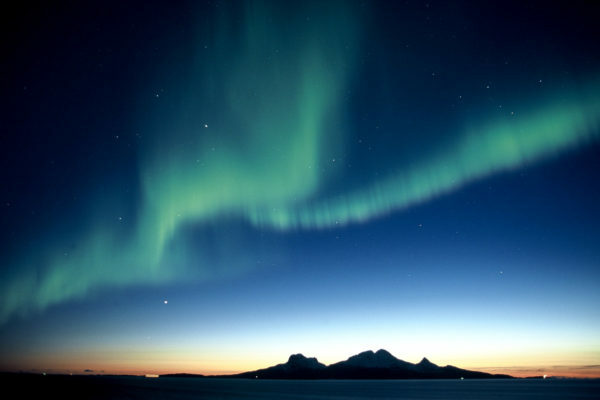 The Northern Lights as seen from Keiservarden in Bodø. Photo: Bjørn Erik Olsen. See the Northern Lights & the Midnight Sun? Keiservarden is a year-round hiking destination. If weather permits, Keiservarden is a very good spot to see both the Northern Lights and the Midnight Sun. Not at the same time of course. Stone stairs – several alternative routes lead to the top. In 2016 Sherpas from Nepal built stone stairs along our route, which saves the terrain from wear. This also makes the hike both easier and more fun. Keiservarden and the path are seldom deserted, so be prepared to meet the locals from Bodø on your way. Keiservarden (The Emperor`s Cairn) is named after German Emperor Wilhelm II, who visited the hilltop in 1891 on one of his visits to Norway. On the top there is both a plaque in honor of Wilhelm IIs climb and a board telling about it. Is this trip for me? This trip is designed for beginners and intermediates. You don’t need any specific skills. That said you should have some outdoor experience in walking before you arrive. Grading: This trip is graded as Medium – Blue grading. Terrain: you must be able to walk on gravel roads, trail in slightly hilly terrain and partly steep stone stairs. Total length: approx. 5 km up and down. Elevation: from starting point 45 (140*) metres above sea level to top Keiservarden 366 m a.s.l. In winter: best snow spikes and headlamps available. This way the trip could be enjoyable even when dark and in winter. 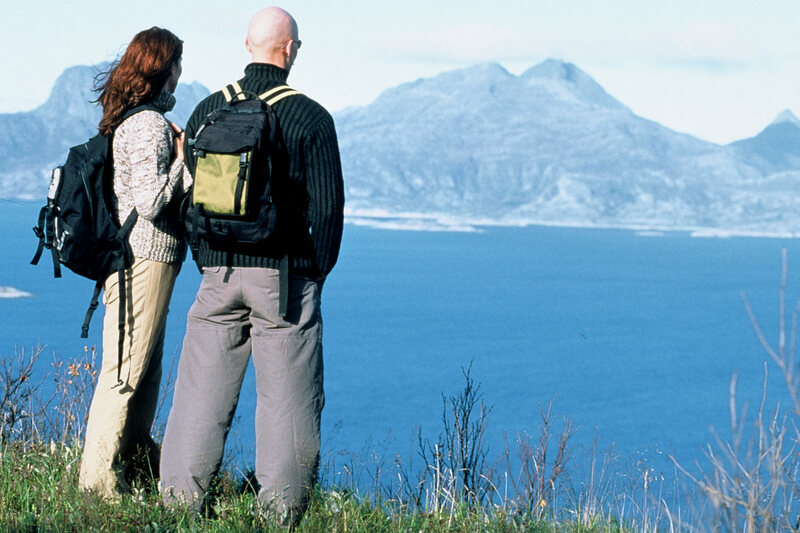 Meeting point: by the Tourist Information in Bodø. Please see map above. Normally no need to cancel due to weather. The only exception is extremely strong wind and/or heavy rain. The view from top Keiservarden will of course be reduced if cloudy weather. There is a rustic shelter at the summit where you can shelter from the rain. If weather turns bad we will consider choosing alternative routes or experiences. 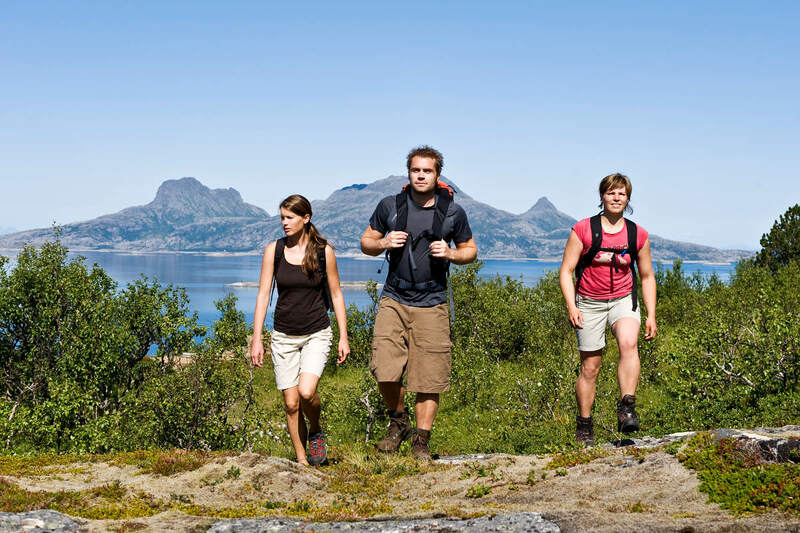 Need to Know More About Hiking to Keiservarden?